Since its inception the Port Community Arts Centre has evolved into an efficient and effective incorporated organization administered by an elected board and owned, and supported by its paying members. It exists to provide activities designed to foster learning in, and the exhibition of al art. This is achieved via the ongoing conduct of art classes, exhibitions and occasional workshops and other activities. Currently, we have a membership of over 170 and this continues to grow. Membership affords many the opportunity to participate in art classes at which they can learn new skills and refine existing ones. These activities also enable friendly interaction with other, like-minded members in an enjoyable and satisfying learning environment. The workshops are conducted by and skilled tutors. There is only one level of membership and the annual fee is only $15. We extend a welcome to people who are interested in taking advantage of opportunities to advance their artistic skills and abilities and exhibit their work. A Member’s Page is a member’s own website page on which they can publicise their art. This service is free and is an excellent way of getting your art out there for people to see. To get your own Member’s Page please provide a description of yourself, your art training, aspirations, exhibitions entered, awards won, etc, (look at other members’ pages for a guide). Then send this, together with up to five images of your best art, and a head and shoulders photo of yourself, in jpeg format. Please ensure that your images are high resolution and less than 1 megabyte in size. They may be sent via e-mail, DVD or USB stick. Come on, let the world see your talent ! and other materials as well as at our exhibitions. We gratefully acknowledge and thank our sponsors for their generous financial and other support. Click on a logo to go to that sponsors website, or to e-mail them. Graffiti is not all about vandalizing private and public property. Needless to say, it is also not all about street art. There is more to than meets the eyes. Graffiti art has several application if you know how. Putting an end to all these pointless speculations, here you get the assurance that graffiti is, by all means, art; even quite a classic and gentry form of art. Today, there are numbers of NGOs, social welfare departments, state level political parties and large-scale commercial organizations, who take an interest in the creative forms of art to bring their upcoming campaigns into the notice of public and with legal permission. As it has been aforementioned, graffiti art has now got an acceptable purpose other than being only a personal visual perspective. 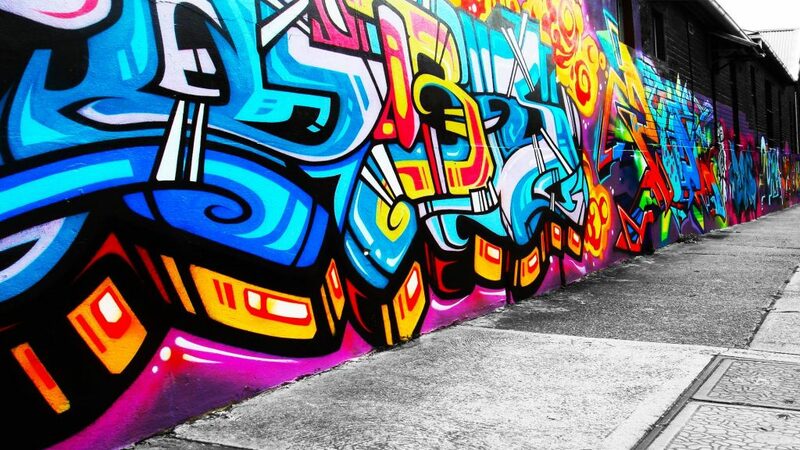 Apart from this, there are some places in the world such as Queens, NY; Paris; Zurich; Prague and to name a few places where graffiti art is considered legal. The places above are primarily famous for their ethnic artwork, fashion and a variety of artistry. They take graffiti art quite seriously and use it to beautify ‘urban decay.’ For instance, if any public property is found not visually attractive, graffiti artists are then hired either by any local body or any individual to beautify it. Isn’t it a great and functional idea? Of course, it is! Wait, we just forgot about London! One of the costliest and of course beautiful cities in the world, London has welcomed graffiti art quite generously. The city has spared quite a considerable number of places within it only for the practice of graffiti art, and they are such as Leake Street (Graffiti Tunnel); Alexandra Palace (The people’s palace); Tottenham; Crouch End, etc. The Port Community Arts Centre is a community-based arts group, located in the heart of Port Adelaide, and has been serving the artistic community of Port Adelaide Enfield for over twenty-two years. Our main activities are running art classes, in our workshop venue, and conducting exhibitions in the lovely Black Diamond Gallery. This website has been created to provide information about those activities and the other aspects of the Centre. We hope you find it both useful and informative.